When I coined the phrase “placenta encapsulation” back in 2005, I was just looking for something to call the process with which I had fallen in love. Over the next year, as more and more women learned about placenta encapsulation and wanted me to prepare their placentas for them, I had to come up with a term for my work. So I came up with “Placenta Encapsulation Specialist®” in 2006. By 2007, I had the first iteration of the PBi Placenta Encapsulation Specialist® Training Course sent out on a trial run to the first dozen or so women who wanted to learn. Since then, it’s been a whirlwind! Placenta encapsulation has become a trend; I’ve had people all over the world take the training to become a PBi Placenta Encapsulation Specialist®, and thousands of women are now consuming their placentas after the birth. Along with that have popped up competing training organizations. Many new trainees from the new programs also started calling themselves “placenta encapsulation specialists”, which I think is a wonderful form of flattery. 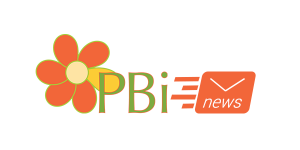 However, it became confusing, since the term was intended to be unique to PBi’s program. I’m pretty excited to hear that Placenta Encapsulation Specialist® is now officially trademarked! Thanks to all of you placenta fans, who have turned “placenta encapsulation” into a household term! And thank you to all the PBi Placenta Encapsulation Specialist®s around the world. Ten years in, and still going strong!